My husband’s reaction when I announce my plans for a week-long trip to the Lofoten Islands in Norway is a tad dramatic, but he has a point. 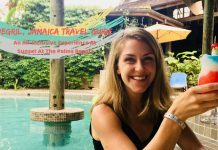 Among such other achievements as guzzling more coffee than any other country on Earth, being the birthplace of skiing, and boasting wild and breathtaking scenery to rival destinations like New Zealand and Alaska, Norway is famous for its seafood. Yet this has nothing to do with my main reason for visiting. I want to set foot inside the Arctic Circle – on the Lofoten Islands, to be exact – and the fact that some of the world’s richest cod-fishing takes place there every year isn’t going to put me off. Besides, I’m visiting in late August so there won’t be a fish drying rack in sight…right?! 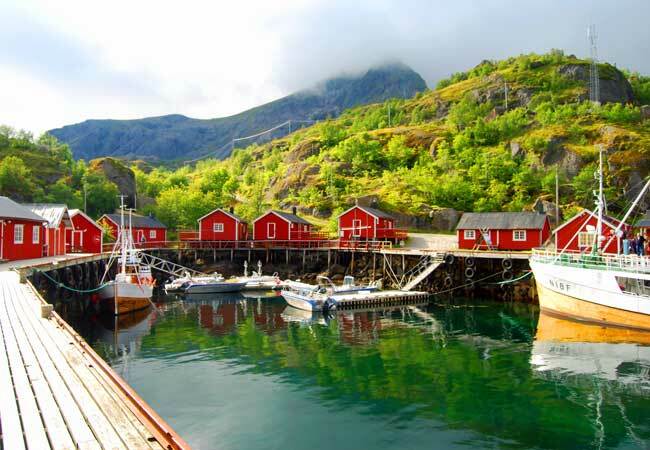 Situated 300km inside the Arctic Circle along the same latitude as Greenland and Northern Alaska, the Lofoten Islands were formed from some of the youngest and oldest rocks in the world. 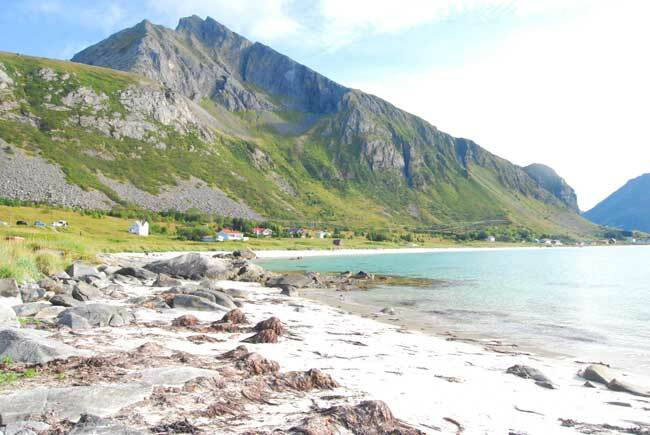 The archipelago stretches out into the sea like an arm, comprising several principal islands: Andøya, Langøya, Moskenesøy, Hadseløya, Vestvågøy, Flakstadøya and Austvågøy. Road bridges and tunnels connect them and the E10 National Scenic Route (King Olav V’s Road) runs all the way down to the southern tip, ending at the village of Å (pronounced ‘or’). Arriving at Harstad/Narvik airport via a connecting flight from Trondheim, I drive to where the Tjeldsund Bridge connects the mainland with Hinnøya. It isn’t long before I’m immersed in jaw-dropping scenery, with craggy hilltops emerging from lush green slopes and the still, dark waters of the Vestfjorden dipping in and out of view. Moody clouds hang low in the sky and there’s a steady drizzle. Norway wouldn’t be Norway without setting foot on a boat, so upon reaching Austvågøy, I catch the ferry from Fiskebol to Melbu on the island of Hadseløya and spend the night in the small town of Stokmarknes. I watch the boats in the harbour come and go as the sun sets, painting the sky scarlet. Reflections in the water make it look as if the sea is on fire. Stokmarknes is the headquarters of Hurtigruten, whose ships offer voyages along the Norwegian coastline, stopping at lots of different ports between Bergen and Kirkenes. Catching the ferry back to Fiskebol, I drive on along the E10, pausing for a picnic at the Austnesfjorden rest area. The boardwalks provide a stunning view of the Sildpollnes Church, which stands at the end of a peninsula stretching into the middle of the fjord. The cruise port of Svolvær looks out across the Vestfjorden, a part of the Norwegian Sea located between the Lofotens and the mainland. Rugged peaks rise up behind it, the most famous of which is Svolværgeita (Svolvær Goat) and is popular with climbers. With a population of more than 4,000, it’s a bit of a shock to come across such a busy little town after so much solitude, but the harbour is picturesque and I spend an hour or so nosing around the cafés and shops. 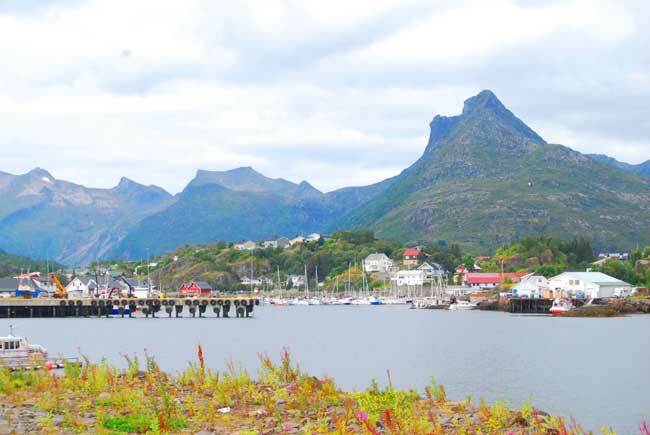 Interestingly, Svolvær was one of the locations allied forces conducted a raid upon during WWII, where they succeeded in destroying ships and factories supplying fish oil and glycerine to the German munitions industry. A fish factory ship – The Hamburg – still lies at the bottom of the harbour and you can visit the town’s War Museum to find out more. There’s a bit of a misconception among visitors to Norway that its people aren’t very friendly. I have visited the country a few times now and have found the locals to be very pleasant and helpful. There’s a quiet dignity about them that is often mistaken for aloofness, but whereas we Brits could make conversation about the weather into an Olympic sport, there’s a lack of pointless small talk here, which I find quite refreshing. One thing they all seem to have in common is an enthusiasm for outdoor pursuits, and with scenery like this, who can blame them? 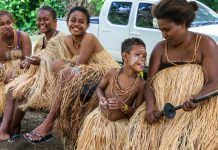 You can surf, fish and kayak in the Lofotens, or opt for a sea safari in search of eagles and whales. 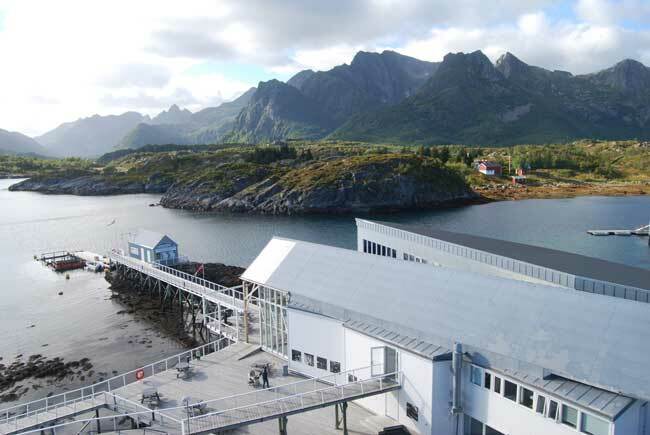 At Kabelvag, I stop by the Lofoten Aquarium, which showcases skrei (Norwegian Arctic cod), crustaceans and all manner of sea creatures found in the surrounding waters. Its displays about the fishing industry are superb and I’m even persuaded to throw a couple of fish heads to the seals at feeding time. I stay the night in a traditional rorbu complete with rickety timber walkway and a door that won’t fully close. These old fishermen’s cabins can be found all over the Lofoten Islands, sticking out into the water on stilts, and many have been restored to provide comfortable lodgings. The Vikings were a big presence on the islands and the following day I decide to visit the Lofotr Viking Museum at Borg, which was built on the site of the largest chieftain’s house ever unearthed and has an 83m long reconstruction. The weather so far has been damp yet fairly mild, but now a howling wind is sweeping across Vestvågøy, so strong that I can barely put one foot in front of the other as I walk from the car park. Stepping inside the longhouse is like stepping back in time. There’s a strong smell of tarred timber and smoke from the hearth and the walls are hung with furs. 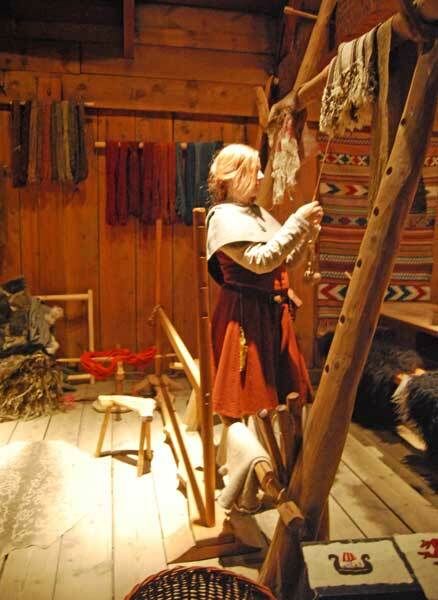 Huge weaving looms are positioned in the corner, as well as weaponry and armour, which I’m allowed to try on. Everything is cosy and warm and you would hardly guess a gale rages outside. 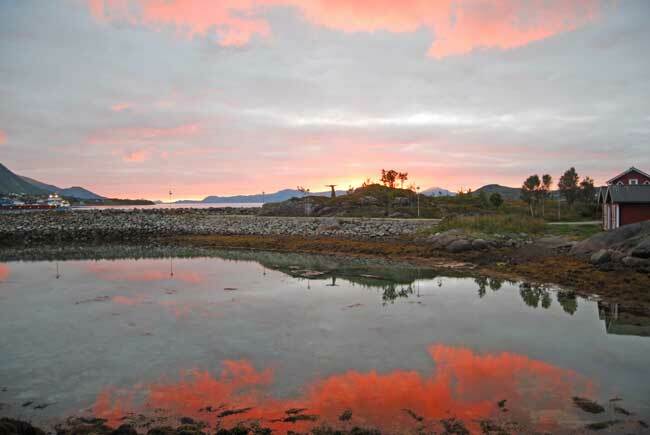 I spend another night in Kabelvag, then drive on to Leknes in the morning, taking a detour to Stamsund. The day is clear, the water calm, and the islands and skerries look like the spine of some primordial sea serpent rising up out of the water in jagged humps.